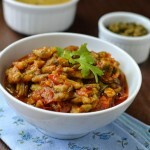 To prepare tomato rasam, clean the tomatoes and green chilies and cut them into pieces. Soak the tamarind in water for some time. Then take a bowl and add 2 – 3 tbsps of oil into it. Let the oil heat. Once the oil is hot, add mustard, jeera and fry for half a minute. Then add the red chilies and smashed garlic cloves by making into pieces and fry them too for half a minute. 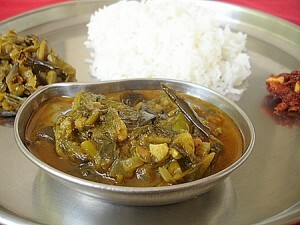 Then follow it by curry leaves and green chilies. Now add the slices tomatoes and salt and boil them for 3 – 4 minutes. Extract tamarind juice from the soaked tamarind. Now add the water and tamarind extract to the tomatoes and let the water boil for 5 minutes. Then add turmeric powder, coriander powder, and boil it in low flame for 10 more minutes. 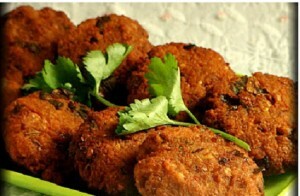 Add the coriander leaves and pepper powder at the end just before a minute before you switch off the stove. 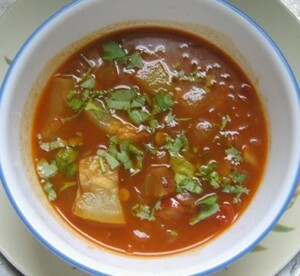 Your tasty tomato rasam is ready to be served. Note : Rasam tastes very good with rice especially in combination with vegetarian and non vegetarian fries. About : Tomato is actually a fruit from berry family. 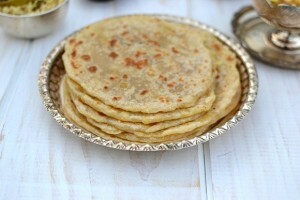 It contains vitamin C which is very helpful in keeping us healthy. 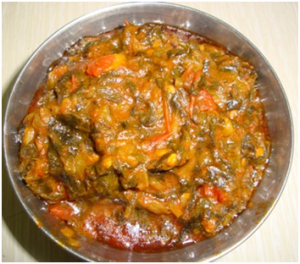 It is used in combination with almost all kinds of vegetables in making curries, pickles and chutneys. But, if consumed in excess amounts, may lead to kidney problems. Tomato is rated as “EXCELLENT” in world’s healthiest foods rating. Rasam is a spicy soup made in south India using tamarind juice, pepper, tomato, cumin and other spices. 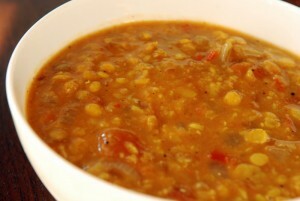 Vegetables and steamed lentils are also added to it for extra nutrition. It is either eaten along with rice or drunk after a meal. Its distinct taste is sourness, contributed by the tamarind base. 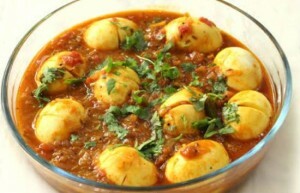 It is usually difficult to find a healthy dish that is also appetizing, but rasam is one of those dishes. 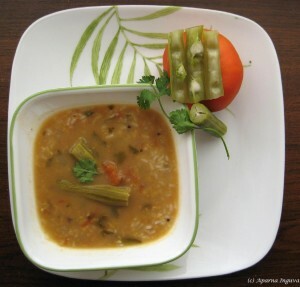 Different types of rasam can be made using various major ingredients. 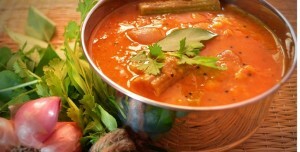 Tomato rasam is one of the most popular types. 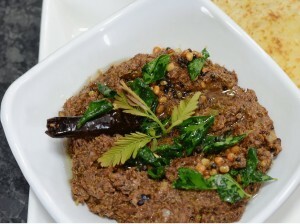 Now-a-days, rasam powder can be bought from retail stores to be used to get the taste just right.